Lightstreamer Srl is an independent software vendor focused on delivering high quality products for real-time messaging and data streaming. Lightstreamer’s software engineers have maniacal care for details, resulting in enthusiastic customers all around the world. International top tier banks, aerospace and defense organizations, as well as media and entertainment companies have been using Lightstreamer’s products extensively, with outstanding results. Lightstreamer is a global leader in real-time messaging and data streaming solutions. Since the beginning, Lightstreamer has been focused on real-time technologies aimed at making the Web a live environment, and superseding the traditional Web paradigm, where any update had to be “pulled” by the client rather than “pushed” by the server. Lightstreamer anticipated and helped develop new technology paradigms, such as Comet and WebSockets, and is now leading the real-time messaging space, including Mobile and the Internet of Things. The Lightstreamer products have been used by a growing number of organizations, from startups to Fortune 500 enterprises, including top-tier financial institutions, as well as aerospace, defense, energy, gaming, sporting, media, and entertainment companies. In 2012, Weswit (the name of the Lightstreamer company at that time) was recognized as a “Cool Vendor in Application and Integration Platforms” by Gartner, the world’s leading information technology research and advisory company. Lightstreamer has millions of end users served by hundreds of customers worldwide, including NASA, Delta Airlines, Sky, Morgan Stanley, Fidelity Investments, Fannie Mae, IG Group, Societe Generale, UBS, DNB, Deutsche Börse, Intesa Sanpaolo, GAIN Capital, Forex.com, eToro, OOCL, and many others. Giampaolo was born in Venice. Graduated in Business Administration at University Ca’ Foscari. He has been working for over 40 years in the IT industry, both as a manager and as an entrepreneur. 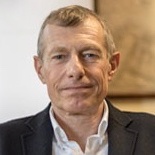 In 1993, he became CEO of EDS Italia, a world leader in hi-tech outsourcing. In 1999, he founded Par-Tec together with other experienced entrepreneurs. He is currently Chairman of Par-Tec and Lightstreamer. From 2001 to 2010, he was supervisor at Teatro La Fenice, in Venice. Alessandro was born in Milan. Graduated in Computer Engineering at Politecnico di Milano and in General Management at SDA Bocconi. He started his career as a researcher and teacher at CEFRIEL. He worked for Par-Tec, where he designed several advanced trading platforms for different financial institutions. 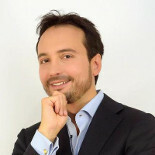 Alessandro created the Lightstreamer technology, co-founded the company in 2004, and has been leading its technical and strategic development as the CEO. Aronne was born in Cremona. Graduated in Computer Engineering at Politecnico di Milano. He started his career as a field engineer in the dealing room area. 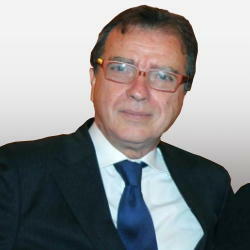 In 1998, he co-founded Par-Tec, which originated together with Fineco, the first Italian online broker. He co-founded the Lightstreamer company in 2004. Aronne is currently Sales Director at Par-Tec and Board Member of Lightstreamer.